Lawmakers and telehealth advocates have lauded the U.S. Senate’s passage of bipartisan legislation to extend telehealth benefits to several patient populations battling chronic illnesses. After another failed attempt to repeal the Affordable Care Act, the Senate has unanimously passed the Creating High-Quality Results and Outcomes Necessary to Improve Chronic (CHRONIC) Care Act of 2017. The measure would let Medicare Accountable Care Organizations expand the use of telehealth, build broader telehealth benefits into Medicare Advantage plans and expand virtual care for stroke and dialysis patients. Around the country, a handful of nursing-home companies have begun selling their own private Medicare insurance policies, pledging close coordination and promising to give clinicians more authority to decide what treatments they will cover for each patient. These plans are recent additions to the Medicare Advantage market, where private plans have become an increasingly popular alternative to traditional fee-for-service coverage. Unlike other plans, these policies offered by long-term care companies often place a nurse in the skilled-nursing facility or retirement village, where they can talk directly to staff and assess patients’ conditions. 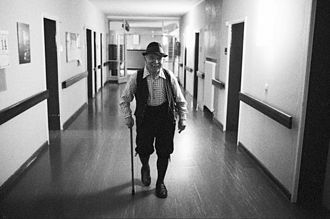 Some provide primary-care doctors and nurses to residents in the homes or in affiliated assisted living facilities or retirement villages with the aim of staving off hospitalizations. “The traditional model is making decisions based on paper, and in our model, these decisions are being made by clinicians who are really talking to the staff and seeing the patient,” said Angie Tolbert, a vice president of quality at PruittHealth, which began offering its plan to residents in 10 of its nursing homes in Georgia last year. “It’s a big shift in mindset.”). Not everyone finds such plans superior. Some patients who are in disputes with the insurers have faulted the nursing home staff — who work for the same company — for not helping challenge decisions about coverage. They complain that the company holds an unfair advantage over Medicare beneficiaries. “There’s a conflict there,” said Toby Edelman, a senior attorney with the Center for Medicare Advocacy. In an Erickson Living retirement village in Silver Spring, Md., Faith Daiak signed up for an Erickson Advantage plan sold by a nurse whose office was in the main village building, according to her son, J.J. Daiak. After a bout with the flu last February weakened her enough to need a 10-day hospitalization, she was sent to her village’s skilled-nursing facility. There, the insurer repeatedly tried to cut short her stay. Erickson Advantage first said it would stop paying for Daiak, 88, because she wasn’t getting healthier in the nursing facility. Her son appealed by pointing out that Medicare explicitly said as part of the 2014 settlement of a class-action lawsuit that patients do not have to be improving to qualify for skilled-nursing care. Daiak’s appeal was denied, but the issue was sidelined in March when her rapid weight loss in the nursing home sent her back to the hospital, he said. After Daiak returned to the nursing home with a feeding tube in her stomach, the insurer again tried to curtail her time there, saying she did not need that level of care. The family successfully appealed that decision after noting that Medicare’s manual said feeding-tube maintenance required the skilled care of a nursing facility. In April, Erickson Advantage again said it would not continue paying for Daiak’s stay. It reversed that decision after Kaiser Health News asked the company about the case, J.J. Daiak said. He said the plan did not explain its turnaround. While this Medicare Advantage plan touts its “team that knows you personally and wants to help,” J.J. Daiak said he found the registered nurse at Erickson’s Silver Spring community not helpful. “All I see is her trying to get Erickson out of having to pay for the nursing home,” he said. He subsequently switched his mother to traditional Medicare coverage with a supplemental Medigap policy, which she had until this year. Edelman said the dispute was particularly troubling because Erickson’s retirement villages are marketed on the promise that the company will care for seniors in all stages of aging. “They don’t tell you what they won’t pay for,” she said. There are nearly 18 million enrollees in the overall Medicare Advantage market. Medicare pays private insurers a set amount to care for each beneficiary. In theory, this payment method gives the insurers motivation to keep patients from needing costly medical services such as hospitalizations. 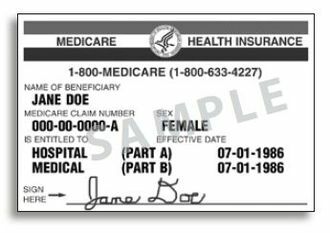 A subset of Medicare Advantage plans are designed exclusively for people who either require or are expected to require at least 90 days of skilled services from nursing homes, assisted living facilities or other long-term care institutions. UnitedHealthcare directly offers three-quarters of these plans with about 40,000 enrollees, far more than those offered by nursing-home companies. Matthew Burns, a UnitedHealth spokesman, said the majority of the company’s plans are rated four stars or better on Medicare’s five-star quality scale. “Our plans offer members quality and peace of mind — and they are considered above average to excellent by CMS quality and performance standards,” he said in a statement. United also underwrites Erickson’s policies, which have around 200 enrollees, and were the first Advantage plans offered by a long-term care operator. Under the arrangement, Erickson Advantage decides when a nursing home stay is covered. Nick Williams, PruittHealth’s care integration officer, said its Medicare insurance plan has resulted in 30 percent fewer hospitalizations among residents since it began last year. The company intends to expand the insurance coverage to residents at 42 of its other nursing homes in Georgia. Other nursing-home chains are experimenting with this model in Missouri, South Carolina, Virginia and elsewhere. Anne Tumlinson, a Washington healthcare industry consultant who specializes in long-term care, said that when a nursing home’s company is on the hook for the cost of hospitalizations of their patients, it is more likely to make efforts to prevent them. She said big insurers have so many different types of enrollees that they are less focused on the particular needs of nursing-home patients. “They’re too big, they’re bureaucratic, and they are insurers, not providers,” she said. In Hingham, Mass., Suzanne Carmick has been frustrated with the Erickson plan’s unwillingness to pay for most of her mother’s prolonged stay. Last October, 98-year-old Lorraine Carmick went into Erickson’s nursing home after a hospitalization. Eleven days later, Erickson Advantage notified Suzanne Carmick it would stop paying for the facility because it said her mother was strong enough to move with the help of a rolling walker. Under Medicare’s rules, nursing home stays are not covered if a patient does not need daily physical therapy. Erickson said two or three days was sufficient for Carmick. Suzanne Carmick appealed the decision, saying Erickson exaggerated her mother’s recovery, noting that she had dementia, an infection and was wearing two stiff leg braces. She said getting therapy five days a week provided in the nursing home would help her mother recover faster. After a week’s extension, the nursing home began billing her mother at its daily rate of $463, which rose to $483 this year as Lorraine Carmick remained in the nursing home. A Medicare appeals judge subsequently ruled Erickson’s action was justified, based on the testimony from the nursing-home staff — all Erickson employees. If the insurer had covered a maximum stay, Carmick would have avoided more than $30,000 in bills she now owes. Suzanne Carmick said her mother has been on a wait list for six months for a bed on a less expensive floor in the nursing facility. The Senate Finance Committee has unanimously approved a bill aimed at improving care for Medicare beneficiaries with chronic conditions. The Justice Department on Tuesday accused giant insurer UnitedHealth Group of overcharging the federal government by more than $1 billion through its Medicare Advantage plans. In a 79-page lawsuit filed in Los Angeles, the Justice Department alleged that the insurer made patients appear sicker than they were in order to collect higher Medicare payments than it deserved. The government said it had “conservatively estimated” that the company “knowingly and improperly avoided repaying Medicare” for more than a billion dollars over the course of the decade-long scheme. Tuesday’s filing is the second time that the Justice Department has intervened to support a whistleblower suing UnitedHealth under the federal False Claims Act. Earlier this month, the government joined a similar case brought by California whistleblower James Swoben in 2009. Swoben, a medical data consultant, also alleges that UnitedHealth overbilled Medicare. The case joined on Tuesday was first filed in 2011 by Benjamin Poehling, a former finance director for the UnitedHealth division that oversees Medicare Advantage Plans. Under the False Claims Act, private parties can sue on behalf of the federal government and receive a share of any money recovered. UnitedHealth is the nation’s biggest Medicare Advantage operator, covering about 3.6 million patients in 2016, when Medicare paid the company $56 billion, according to the complaint. Medicare Advantage plans are private insurance plans offered as an alternative to traditional fee-for-service option. UnitedHealth denied wrongdoing and said it would contest the case. Central to the government’s case is UnitedHealth’s aggressive effort, starting in 2005, to review millions of patient records to look for missed revenue. These reviews often uncovered payment errors, sometimes too much and sometimes too little. The Justice Department contends that UnitedHealth typically notified Medicare only when it was owed money. UnitedHealth “turned a blind eye to the negative results of those reviews showing hundreds of thousands of unsupported diagnoses that it had previously submitted to Medicare, according to the suit. Justice lawyers also argue that UnitedHealth executives knew as far back as 2007 that they could not produce medical records to validate about 1 in 3 medical conditions Medicare paid UnitedHealth’s California plans to cover. In 2009, federal auditors found about half the diagnoses were invalid at one of its plans. Swoben has accused the insurer of “gaming” the Medicare Advantage payment system by “making patients look sicker than they are,” said his lawyer, William K. Hanagami. Hanagami said the combined cases could prove to be among the “larger frauds” ever against Medicare, with damages that he speculates could top $1 billion. ”Insurers will be able to charge their oldest customers five times more than younger ones for identical policies, and significantly reduce benefits in plans with lower premiums. There will be new restrictions preventing people from waiting until they are sick to sign up (insurers contend this is a big problem), but the IRS will not enforce the individual mandate, which was intended to force healthy people to sign up. ”So people will likely pay more for policies that cover less. Insurers will be able to charge higher premiums, but people who find the new policies too expensive may drop them without necessarily paying a penalty. If the healthy leave disproportionately, premiums will rise higher. This dynamic can result in a ‘death spiral,’ or simply the status quo ante, where insurers offer policies attractive to only the healthy and the wealthy; the poor and the sick, though they retain ‘access’ to health insurance, cannot afford it. ”But at the end of the day, what people want is not access to health insurance, but to affordable healthcare when they need it. It is not clear why policy analysts thought private for-profit insurers offering people a choice of plans would accomplish this. “The fairest and most efficient way to get affordable healthcare for all is through social insurance, Medicare-for-all …just as Social Security ensures every American a modest retirement however long he or she lives. Everyone is in the same risk pool, everyone pays, everyone gets what they need. “The healthy subsidize the sick, the rich help the poor, automatically. No money is diverted to insurance company underwriting, profits or administration. The federal government controls costs in a transparent, accountable way. People who hate government can sign up for Medicare Advantage. To read her entire piece, please hit this link. CMS’s survey found the most error-prone listings involved doctors with multiple offices that did not serve health plan members at each location. The “public option,” which stoked fierce debate in the run-up to the Affordable Care Act, is making a comeback — at least among Democratic politicians. The proposal to create a government-funded health plan, one that might look like Medicare or Medicaid but would be open to everyone, is being advocated by some federal officials, and gaining traction here in California too. Amid news that two major insurers were pulling out of Affordable Care Act exchanges, 33 senators recently renewed the call for a public option. The idea was first floated, then rejected, during the drafting of the federal health law, which took effect in 2010. Dave Jones, the elected regulator of California’s private insurance industry, endorsed the idea of a state-specific public option in an interview last month with California Healthline, though he did not specify how it might work. Democratic presidential candidate Hillary Clinton includes a public option in her campaign platform, and President Obama urged Congress to revisit the idea in a JAMA article published in August. A public option “would look just like an insurance plan,” except that the state or federal government would pay for medical care, potentially set up the network of doctors and hospitals, and make rules about paying providers, according to Gerald Kominski, director of the UCLA Center for Health Policy Research. Private industry could be involved in these or other aspects of running the health plan, much as they do in Medicare Advantage and managed Medicaid plans. California Healthline interviewed Kominski to better understand how a public option could work. The interview was edited for length and clarity. Q: When we talk about a public option, do we mean a health plan for which the government takes the risk, sets the coverage rules and pays out the claims — and enrollees pay premiums just as they would to an insurance company? That is what the public option would be. But that still leaves out the answer to a lot of questions about how actually that would occur. How would a government agency essentially become the insurer? So we have two examples. We have the Medicare program and we have the Medicaid program. Medicare establishes the rules. It contracts with insurance companies to pay the bills. And that’s the way that Medicare has operated for over 50 years. Now we have Medicare Advantage plans, where the contracting is not to pay bills but is basically contracting with insurers to bundle the services. And rather than pay the doctors and hospitals, the government pays the insurer and puts the insurer at risk. Q: Insurers have opposed this idea in the past, and they’re opposing it again now that it’s being raised by members of Congress. Private insurers could participate as administrators or providers on behalf of the state. But here’s one concern that I have with that model: California has four large insurance companies in the exchange that account for about 90 percent of the market. Let’s say that California wanted to create a public option and hire an insurance company to administer that product for it. What would be the reason or the incentive for any of those companies to agree to be the plan administrator for the public option when the public option would be competing with the product that they’re already offering? They would be competing with themselves. Q: Some provider groups may be opposed to a public option because they say that government programs like Medi-Cal pay very little and they believe a public option plan would also pay little. Is this necessarily the case that a government program would pay low rates? It’s not necessarily the case, but it is in fact what we observe in the Medicare and the Medicaid/Medi-Cal programs. Q: Do you think a public plan would help bring down costs in the healthcare system by negotiating for lower payments to hospitals and doctors? I think that is possible in other areas of the country, where there are markets with one or two health insurance plans in the exchange. I think California has one of the most competitive ACA marketplaces. And so would the public option in California dramatically reduce premiums? I think the answer is no. It would have little or no effect. For some people, the advantage is that we think that the public option’s going to be around because the state’s not going to back out of its commitment, whereas private insurers come and go in the marketplace. Q: Is there something about California’s healthcare system that uniquely primes the state for a public option? I think so. One of the things that’s unique about California is the high percentage of managed-care enrollment. The public option in California would probably include or be based on a managed-care model and Californians are pretty receptive to that model. Q: So if the public option could include private insurance, why are the insurers so opposed? Well, the simple answer is they don’t want more competition. And again it goes back to, why was this battle so intense during the development and enactment of the ACA back in 2009 and 2010? The insurance industry said we cannot compete with a plan, a government plan, that pays doctors and hospitals using Medicare fees or fee schedules. You remember the fundamental rule of business is you don’t want more competition. You want the market to yourself. Well, that’s where you can’t ignore the political environment. And so the short answer is in the current political environment, doing something at the national level is extremely difficult. Even though there might be arguments to develop a public option at the national level, it’s very challenging in the current political environment to get the agreement. Q: Do you think it would be more effective or easier to implement a public option at a state or national level? Q: Is there something that’s more efficient about a national public option? Potentially. It’s economies of scale. You know, the larger your potential market nationally, the lower the potential costs per person. You just get administrative savings and efficiency. But it’s not easy to create a national program. One issue that’s challenging is how to put together a national network of doctors and hospitals that would participate. That’s a lot of work. Q: Do you think the idea of a public option is more viable now than it was when it was debated before and ultimately stripped from the Affordable Care Act? A: Well, I think that what makes it more attractive right now is the fact that we’ve got large insurance companies pulling out of the exchange marketplaces. And because of that … the idea of a public option to provide stability and protection for people in the exchanges has resurfaced. And I think with good reason. South County Health, a small nonprofit system in bucolic southern Rhode Island, owes a large part of its success to its ability to manage transitions of care – an increasingly urgent imperative as healthcare moves from fee-for-service to value-based reimbursement. The system’s flagship is South County Hospital, a 100-bed community hospital. The system also includes South County Home Health Services (a home health agency); South County Surgical Supply (home medical supplies); South County Medical Group, with 65 physicians and advanced-practice providers, and two Medical and Wellness Centers, one in Westerly and the other in East Greenwich, with urgent-care facilities and an array of primary-care and specialist physicians. 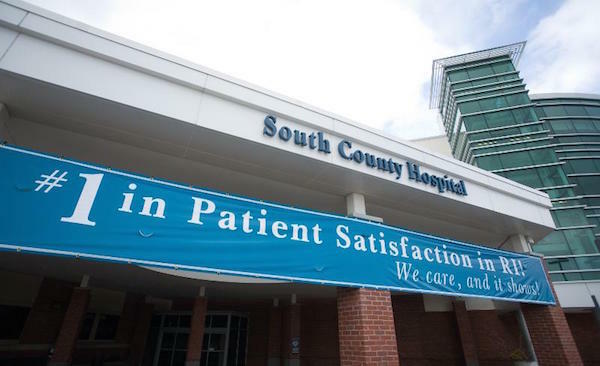 South County Hospital has long had very high marks for quality and patient satisfaction. Indeed, surveys have often called it the best hospital in its state and one of the best in New England. It was recently awarded a five-star rating by the Hospital Consumer Assessment of Healthcare Providers and Systems (HCAHPS), putting it in the top 2 percent of those surveyed nationwide. Louis R. Giancola, the system’s president and chief executive, attributes much of the hospital’s success in patient satisfaction — and fiscal stability — to the strong engagement of its staff, which “we keep in the know’’; a “supportive board’’; the long-term loyalty of people in the service area, and the “nimbleness of a community hospital’’. Having a relatively affluent market with many well-insured people hasn’t hurt either, he acknowledged. Part of South County’s recognized success in overseeing clinically successful and financially efficient transitions – and, in so doing, reducing costly readmissions — has been its emphasis on using, when possible, home health care instead of nursing centers to save money and improve care, Mr. Giancola said. The Centers for Medicare & Medicaid Services and other regulators and payers have been pushing hard for better patient-care management, especially since the Affordable Care Act took full effect. Much of South County Health’s work in this area involves helping primary-care physicians to be better traffic managers of their patients’ care. He notes as an example of what might sometimes be unfair pressure from the Feds: CMS’s making hospitals put many patients who have to stay in the hospital for a night or two into “observation’’ status instead of as inpatients, thus slashing potential hospital reimbursement. An increasingly important strategy for controlling costs and improving care is bundled payments. South County Hospital’s leaders are happy that the Affordable Care Act has put so many uninsured people into Medicaid. While Medicaid reimbursements lag those of Medicare it’s a lot better than no insurance for low-income people. Many of those people, of course, have long used the emergency room as their major source of “free’’ (to them) medical care. But, perhaps surprisingly, Mr. Giancola told us, Medicaid expansion has not yet cut the flow of people into South County Hospital’s ER, despite efforts encouraged by public and private insurers to promote more and better preventive care to keep people out of the ER. “ERs are too handy for lots of people,’’ he observed. South County Hospital has had to deal with many other changes, whose long-term fiscal effects are difficult to predict. One is the rising number of employed physicians, hired, Mr. Giancola says, to ensure that the hospital can maintain the range of services that patients want and need in an acute-care facility, such as obstetrics. Also unknowable at this point is whether South County’s participation in an Accountable Care Organization with Blue Cross & Blue Shield of Rhode Island (BCBSRI) and Integra Community Care Network will ultimately save money. Integra is a partnership of Care New England Health System and its network physicians, Rhode Island Primary Care Physicians Corporation and South County Health and its network physicians. Focused on population-health management, the ACO provides incentives for Integra’s providers to proactively manage patient health, with a heavy emphasis on prevention of illness, while trying to restrain costs. South County Health, as befits a, well, beloved local institution is big on promoting community-wide collaboration of institutions that can help improve not just healthcare in a clinical sense, but population health. Toward that end, it has brought together such diverse agencies as the YMCA, the five Federally Qualified Health Centers in its area, school systems, the local Community Action Program and community members to harness the resources of the community. Whatever happens to the ACA, the move toward community and population health will continue, and South County Health will help lead it in southern Rhode Island.